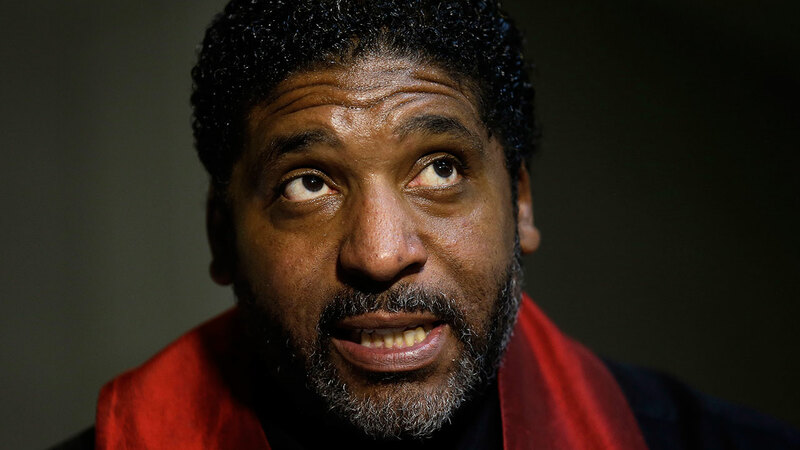 WASHINGTON, D.C. (WTVD) -- North Carolina NAACP President William Barber tells ABC11 he was removed from a flight in Washington D.C. Friday night and that there are concerns as to why he was asked to de-board the plane. It happened just after 10 p.m. at Ronald Reagan Washington National Airport. American Airlines Flight 5382 was scheduled to take off for Raleigh-Durham International around 10:20 p.m. when a spokesperson with the airlines told ABC11 that prior to departure, the captain called for the flight to return to the gate for a disruptive passenger. They said the passenger was escorted off the plane at the gate. Barber said he was returning from a national interfaith event in Washington, D.C. where he was the keynote speaker. In a statement released Saturday evening, Barber said he was tired as he boarded the plane and had sat down in the two seats he purchased due to a bone fusion arthritic disability. Read the full statement from Rev. William Barber. He said he requested a flight attendant to ask a man sitting behind him to not speak so loudly. "But as she left, I heard him saying distasteful and disparaging things about me," he said in the statement. "He had problems with "those people" and he spoke harshly about my need for "two seats," among other subjects." He became uncomfortable and had to stand up and turn around as opposed to just turning his head to confront him due to his disability, according to Barber. "I asked him why he was saying such things, and I said he did not know me, my condition, and I added I would pray for him," he said. Barber said the police were called and asked him to leave. The airline told ABC11 that when the decision to return to the gate was made, the plane had pushed back from the gate and was taxiing to the runway. Barber said it all happened before the plane's crew gave safety instructions. Barber said that "Virtually all the police officers and American employees were gracious to me. Some were openly troubled by the decision to force me to spend another night away from home." "They were genuinely concerned, some even bothered," he added. "They also assisted me immediately in getting another flight on the same airline." However, Barber said there are concerns as to why he should have even been asked to de-board. "I chose to abide by the request without challenge and to address later the issues, interpretations around what precipitated it, as well as my response and my treatment," he said. "I have turned this over to my counsel who have advised me, as is protocol, to speak with them first before any other statements are made. My prayer as always is fairness." The airline would not comment on whether the incident was verbal or physical. The flight departed 45 minutes late and arrived at RDU at 11:58 p.m.